Dr. Jacono and the entire staff at J Spa Medical Spa are pleased to offer the Visia Skin Complexion Analysis. 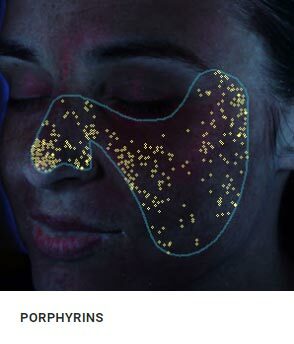 This computerized analysis will allow our team to analyze your current skin condition both above and below the surface. This in-depth look at your complexion’s health will allow for our team to put together a unique and customized skin care regimen designed just for you. 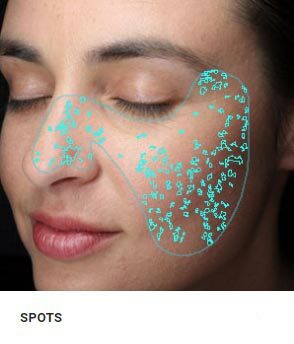 From the folks at Canfield Scientific comes an exciting new breakthrough in skin diagnosis and is available at J Spa Medical Spa located in New York. This skin analysis device allows Dr. Jacono and his expert estheticians to take multiple-dimensional images of a patient’s face. The analysis is done using HD digital imaging and captures a clear picture of your skin surface, subsurface, skin irregularities, and pigment conditions. The Visia Skin Complexion Analysis can identify the following conditions and even how severe they are affecting each patient. By examining the results from the Visia Complexion Analysis, Dr. Jacono will be able to establish a facial rejuvenation regimen that will help you to get the best results in skin tone and texture for years to come. This analysis device takes the guess work out of skin issues and provides an objective evaluation of what treatments are best suited for each patient. The Visia Complexion Analysis takes a series of digital photos through computerized cameras. 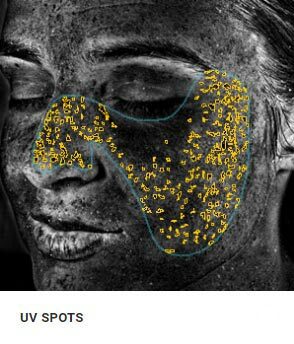 The resulting images will then show a detailed percentage of existing skin conditions such as sun damaged skin cells, wrinkles, oversized pores, age spots, and the presence of acne causing bacteria. 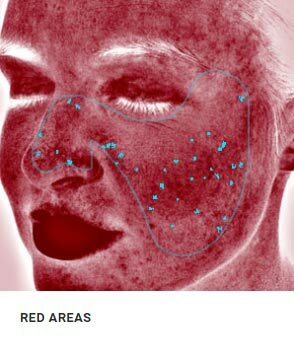 It does not end there though as this complexion analysis will also look at what each patient should expect from how their faces will age with treatment and without future treatments. The analysis takes only a few minutes to do and once it is completed you will be able to sit down with Dr. Jacono and his experienced estheticians to discuss what the results were and what treatment plan is best for you. Each patient will also receive a detailed plan for future regimens that will help to keep their skin refreshed and glowing as they continue to age. Dr. Jacono recommends coming in once a year for a follow-up Visia Complexion Analysis. This will ensure that he will be able to monitor and modify your specific skin regimen which will help keep your skin looking great. 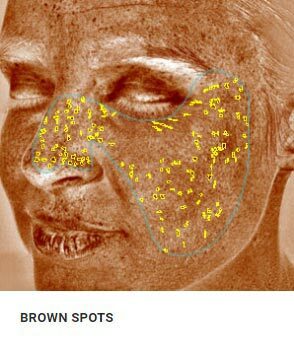 Am I a Good Candidate for a Complexion Analysis? Men and women who are 18 years or older can benefit from the Visia Skin Complexion Analysis sessions. This imaging system will provide a great assessment of pre-existing skin damage and future aging issues that may arise. If you are looking for a customized skin plan unique to your skin conditions, then the Visia Complexion Analysis may be right for you. To see if you are a good candidate for the Visia Complexion Analysis or to learn more about this procedure, please contact us or call 516-773-2424 to schedule your consultation today. How does Visia complexion analysis work? Visia captures images below the surface by rotating around the subjects face to capture left, right, and frontal facial views. What does Visia completion analysis look for? 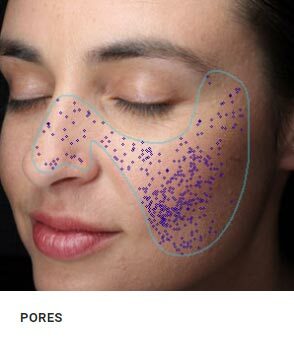 It checks the appearance of wrinkles, spots, pores, evenness, bacteria, and UV spots. 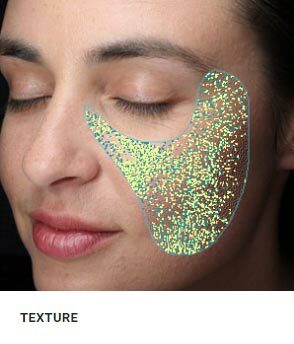 The process entails placing your face into the Visia complexion analysis device to have photos taken. Will I be able to track my skin’s progress? Yes. The process should be repeated periodically during treatment. This will allow your skin’s progress to be tracked. How are the Visia measurements used? They are used to individualize facial rejuvenation and skin care regimens custom to each patient. What treatments are available based on my results? Depending on the analysis, non-surgical procedures such as chemical peels, microdermabrasion, laser treatments, and even home skin care regimens may be recommended.